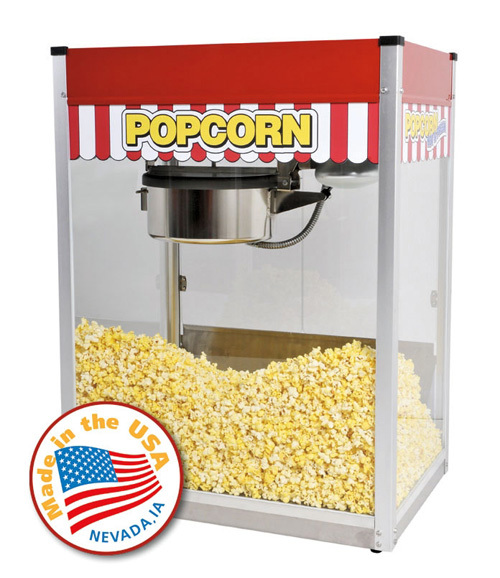 Paragon's Classic 14 feature popcorn machine offers upgraded features found on larger machines at a super great savings! 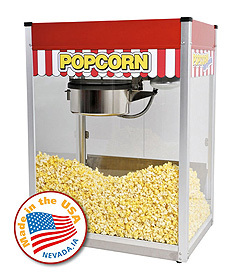 This large popcorn machine works on a 20 amp circuit it is ideal to use in schools, or any enviroment that needs a mobile machine, because it doesn't require a dedicated circuit and can be plugged in almost anywhere. 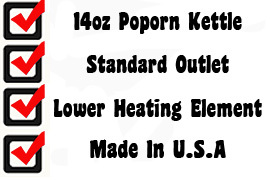 This allows it to be used in multiple locations and still yield about 250 servings per hour. As with all Paragon Poppers, the 14oz features a stainless steel food-zone, tempered glass panels, hard-coat anodized aluminum kettle and aluminum corner posts for easy cleaning. This item must ship by truck instead of UPS. Please call for best ship rate.